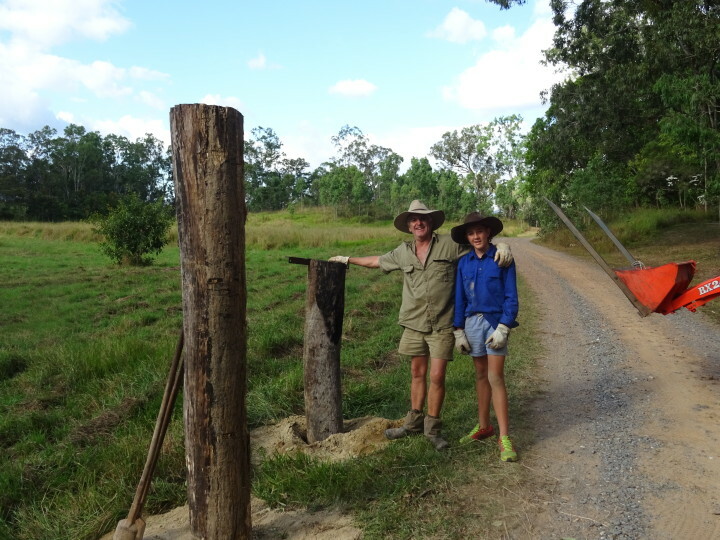 The boys have recently been busy fencing the front paddock when time allows, firstly putting in these large timber straining posts. Although the fencing has not been finished yet the posts are already proving useful to some of our feathered friends! Three times in the last week we have seen the Lesser Sooty Owl’s sitting atop these posts lining our driveway and they are quite happy to pose for us until of course we get the cameras out! Such beautiful and magestic birds, an endemic to the Wet Tropics who clearly love these vantage points! Our thinking now is to leave the longer posts and not chop them down to size in the hopes that they will conitnue to use them. Bird-watching at Sweetwater Lodge in the northern Atherton Tablelands, it doesn’t get much better!